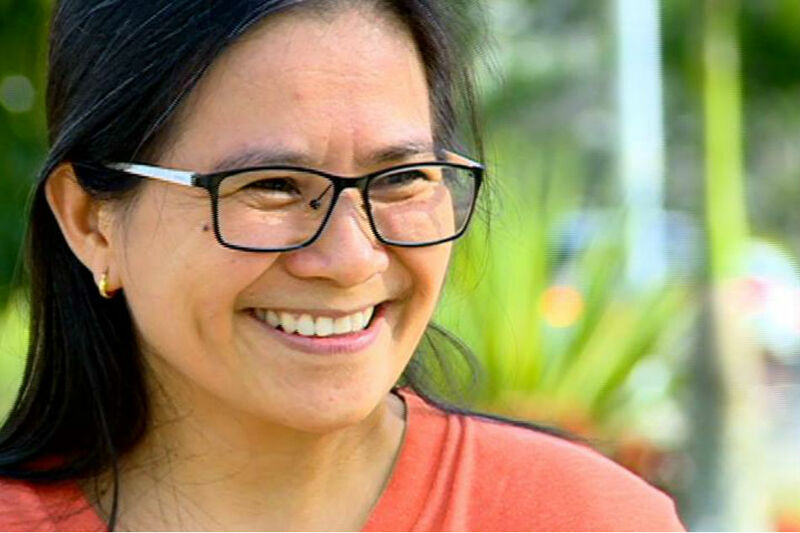 MANILA (2nd UPDATE) – A Filipino wildlife conservationist received a prestigious award in the United Kingdom for her efforts in preserving the rare Philippine cockatoo. Indira Lacerna-Widmann, who leads the Katala Foundation's conservation efforts as its chief operations officer, works with prisoners in Palawan to safeguard the red-vented cockatoo, or Philippine cockatoo (Cacatua haematuropygia), locally known as Katala, Kalangay, Abukay or Agay. For her efforts to save the birds, which nest within the grounds of Iwahig Prison and Penal Farm in Puerto Princesa City as well as in other areas in Palawan, Lacerna-Widmann also received funds worth 35,000 British pounds (P2.25 million). Along with five other wildlife conservationists, Lacerna-Widmann was selected from 166 applicants from 66 countries for the Whitley Awards, considered the international "Green Oscars." She was among six shortlisted finalists who had a chance to win an award from the Whitley Fund for Nature, and a share in funding worth 210,000 British pounds (P13 million). All six were granted funds for their projects. According to Widmann, she will use the grant to raise awareness about wildlife conservation, and to train prisoners as wildlife wardens at Iwahig Prison and Penal Farm to address poaching in breeding sites such as in Barangay Iwahig. She also dedicated the award to all Filipinos, especially to Palaweños. "Masaya . . . masaya pero kaakibat naman sa pagkilala na iyan ay natural iyong responsibilidad at ang bagong enerhiya na meron tayong gagawin," Lacerna-Widmann told ABS-CBN News. The Philippine cockatoo, listed by the International Union for Conservation of Nature as critically endangered, is usually caught by collectors for its ability to mimic the human voice, the Katala Foundation said in its website. Other factors contributing to the dwindling cockatoo population are poaching and the destruction of its habitat, mangrove forests and other forested areas in the Philippines, particularly Palawan. Filipinos whose projects previously won the Whitley Award include Jayson Ibanez (2015), whose work protects Philippine eagles; and Tess Gatan Balbas (2014), who helps save the Philippine crocodile. The first Whitley Award was given to Canada-born Dr. Amanda Vincent, for her Philippines-based project focusing on the study of the biology and conservation of seahorses. Other finalists in the 2017 Whitley Awards are: Ximena Velez-Liendo: An uphill climb: enabling coexistence of Andean bears and farmers in the Bolivian mountains; Alexander Blanco: Nest protectors: conserving Venezuela’s magnificent harpy eagles as a rainforest flagship; Ian Little: Custodians of South Africa’s threatened grassland biodiversity; Purnima Barman: Inspiring women to protect Assam’s greater adjutant and its habitat, India; and Sanjay Gubbi: Reducing deforestation in Karnataka’s tiger corridors, India. Awards were given on Thursday (early morning Friday, Philippine time) at Royal Geographical Society in London, by the UK’s Princess Royal, Anne, a patron of the Whitley Fund.